PlayGrand Casino was first established in 2013 and is under the management of Cadell Limited N.V. It has been licensed by Curacao Gambling Authority and has been powered by the likes of Microgaming, NetEnt, and NextGen.  The game selection available here is amazing and every players’ preference has been taken care of. 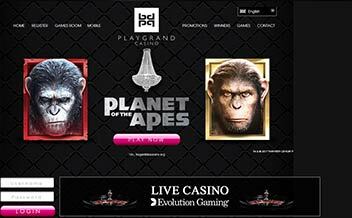 PlayGrand Casino offers players an impressive list of casino games for over five years that it has been in operation. Players can access the casino using only one account and do not have to have a download version of the casino. The customer support is always ready to offer assistance and is available by phone, email, and mobile for 24/7. 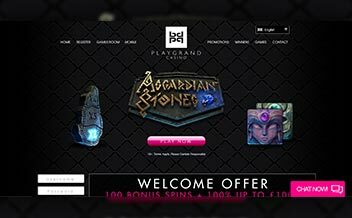 PlayGrand Casino offers players a welcome bonus of up to 100% for a deposit amount of up to £1000. The wagering requirement is35x and this bonus is cashable after winnings have been declared. The minimum deposit is £20 and players who deposit through Neteller or Skrill are not entitled to receiving the bonus. The casino also offers free 100 free spins on Starburst slot game and the spin value for this bonus is 0.1, the wagering requirement is 35x before making any withdrawals. Open an account, make a deposit and claim your bonus today. The casino offers players a variety of jackpot games to choose from. The jackpot games have over the years reached up to 1 million. Some include Divine Fortune, Mega Fortune, Hall of Gods and Arabian Nights among others. The slot games available at PlayGrand Casino have different kinds of themes and this has diversified the whole gaming experience, not all casino’s offer this feature. The slot games include; Lost Relics, Fruit Shop, Starburst, and Pandas Quest among others. The table games too are many at PlayGrand, the table games have amazing graphics and you can play on mobile and tablet devices. Some include French Roulette, Blackjack Classics, and Red Dog. The casino’s live section is amazing. 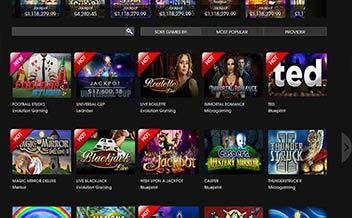 Players get to enjoy the casino games in high definition as they are streamed in real-time. The live games include; different variations of Live Blackjack and Live Roulette. The casino has been powered by NetEnt company who have provided games like Hotline Slots and Guns N Roses. The vast list of casino games has been provided to take care of the huge client base. Other gaming providers include Microgaming, NextGen, 1×2 Gaming, Aristrocrat, Amaya, White Hat Gaming, BetSoft, Nyx Interactive and Quickspin among others. Australia, Belgium, Cuba, Ethiopia, France, Iran, Israel, Latvia, Pakistan, Virgin Islands, The United States, Syria, Turkey, and China among others. The casino is accessible on Chrome, Mozilla and Opera Mini. Players who have access to Android and IOS devices also get to access the casino games conveniently. 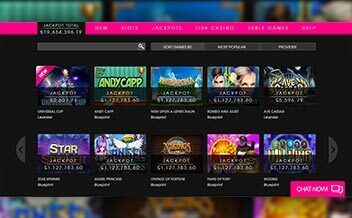 The casino also supports mobile, tablet and desktop devices. PlayGrand does not have any bad reviews or complaints from players who have visited the site, the mobile version of the casino is very convenient and offers a good number of casino games. Join the casino today and change your gaming experience forever.